This segment is where flagship territory starts - maybe not the latest flagships, but there are a couple from this year. Still, most people won't need to look further up the pricing ladder, unless they are specifically looking for the cutting edge or a specific feature that phones in this bracket do not offer. 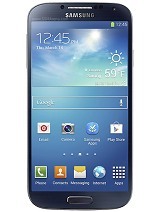 The Samsung Galaxy Mega 6.3, as the name suggests, is a phablet with a 6.3" screen. It is in essence an upscaled Galaxy S4 mini. The screen does have 720p resolution, which keeps the pixel density at a decent 233ppi. There's also the relatively speedy Snapdragon 400 chipset (dual-core Krait 300 @ 1.7GHz, 1.5GB RAM, Adreno 305) and LTE. The 8MP camera shoots 1080p video, there's 8GB of expandable storage and a good 3,200mAh battery. It's pricier than the Ascend Mate, but the LTE and IR blaster enable some additional uses (fast browsing on the go, controlling a multimedia setup). Phablets like the Mega 6.3 are ideal for people who don't find 7" tablets comfortable to hold. True, the Mega is pricier than a Nexus 7 (2013) but it's a full featured phone. Also, it's on the verge of dropping into the €200-€300 category, which sweetens the deal further. 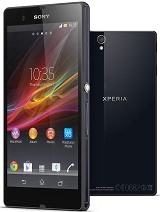 The Sony Xperia Z came out at the beginning of this year so it's getting a bit old, but it's still an excellent phone - it has a beautiful glass-and-aluminum design and one of the few water-resistant device. The Snapdragon S4 Pro chipset is old for a late 2013 flagship (but that is most noticeable in benchmarks) and the 13MP / 1080p camera isn't up to par. The screen has poor viewing angles, but is decent otherwise. Also, the water-proofing didn't prevent Sony from putting in a microSD card slot. The Xperia Z1 improves on the camera, chipset, display and even battery and water-proofing rating, but is in a different price bracket. 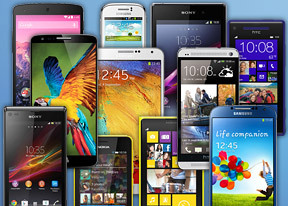 If it's outside your budget, the Xperia Z will do nicely. In case the Ascend Mate and Galaxy Mega 6.3 phablets weren't good enough, have a look at the LG Optimus G Pro. It comes close to current phablets with a 5.5" 1080p screen, Snapdragon 600 chipset, 13MP camera and 3,140mAh battery. We booted the Nexus 4 off our recommendation because the Nexus 5 is out. We're looking at the 32GB version, which costs about as much as a 16GB Galaxy S4 and we believe the price premium over the 16GB version is worth it. 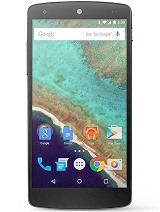 The thing is, the Nexus 5 has a 5" 1080p screen and a more powerful chipset than the S4 and it runs pure, unsullied Android, which is highly desirable in some circles. The 8MP/1080p camera has optical image stabilization too, one of the few Android cameras that do. Battery life isn't stellar, but with built-in wireless charging support you'll be able to top it off easily. The Samsung Galaxy S4 needs no introduction - Samsung has spent tons of money on ads and over 40 million people have already bought one. The plastic-based design isn't anyone's favorite, but it fits a 5" display in the footprint of last year's 4.7" flagships. It has a Snapdragon 600 chipset, which until recently was the best in Android-land (and is clocked higher than other S600s), an excellent 13MP / 1080p camera and tons of proprietary features (detecting a hovering finger, split-screen multitasking). One important tip - the Galaxy S4 also comes in an Exynos 5 version. Samsung has tuned both to have similar performance overall, but since the Exynos one lacks LTE you might find it cheaper in some places, which make it worth it for countries without LTE coverage. On the other hand, the Snapdragon 600 version is also compatible with official pure Android releases - you don't need the Galaxy S4 Google Play Edition for that.